Talking about F1: The F1 blog: Ferrari favouring Fernando or full fabrication? It felt rather like a few people had been poised for this moment for a while. The moment where they could claim that intra-team/inter-driver relations at Ferrari were getting difficult. Perhaps worse that the team was doing the dirty on Kimi Raikkonen to the end of favouring Fernando Alonso. 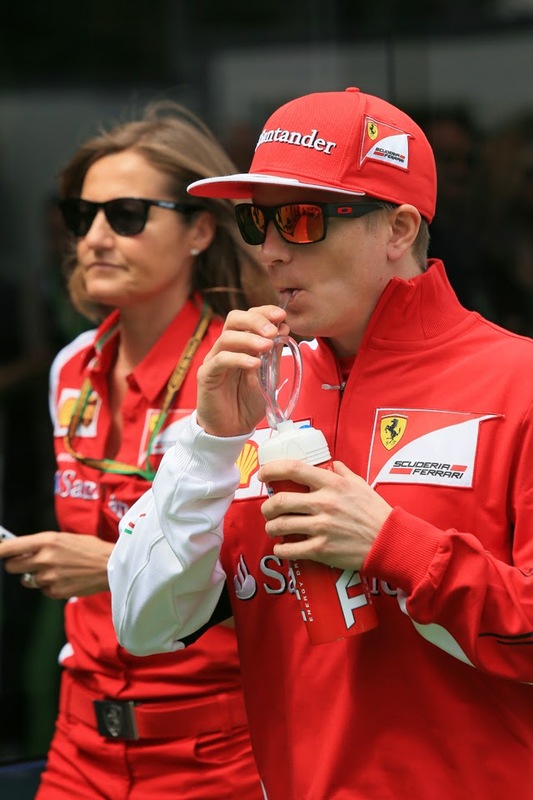 They'd been poised indeed since Kimi was confirmed for the 2014 Scuderia ride alongside Fernando late last summer. Of course, in the opening four rounds of this campaign it never became an issue, given Kimi rarely was within range of Fernando's vapour trails. But in the Spanish race it was different, Kimi running ahead for much of the way, but with Nando for the most part staring intensely at his team mate's rear wing. What first got everyone going was that at the end of the opening stint, perhaps unusually, it was the Ferrari behind that got to pit first, Alonso stopping on lap 16 and Raikkonen a lap later. This in the normal run of things would be an advantage though as it was Alonso hit traffic on his out lap and the Finn stayed ahead. But later the Ferrari pit wall split its ticket (some redolence of Suzuka last year at Red Bull with Webber and Vettel) - Kimi on a two-stopper; Fernando on a three. And in the late laps on fresher tyres Alonso was able to pass Raikkonen finally (in an ironic reverse of the Suzuka case) and prevail albeit in a gentleman's sixth place. And perhaps we can see why he came down a notch or two in his ire. Certainly on the issue of two stops versus three the scrutineering doesn't particularly bear out any sort of favouring of Fernando with the extra stop. Alonso was one of only six, from 20 finishers in the Grand Prix, to deploy a three-stopper. In other words if there was a conspicuous advantage in stopping three times then it occurred to remarkably few up and down the pit lane. There also is next to no evidence that a three-stopper was a magic ticket. Alonso was one of only two drivers to beat his team mate as a result of stopping three times as opposed to his stable mate's two, and the other one who did - Esteban Gutierrez - only passed his team mate on the final lap. Felipe Massa indeed was bemoaning his three-stop approach afterwards, and finished a full eight places below his team mate and somewhere in the region of 40 seconds behind (mitigated only in part by starting five place further back). 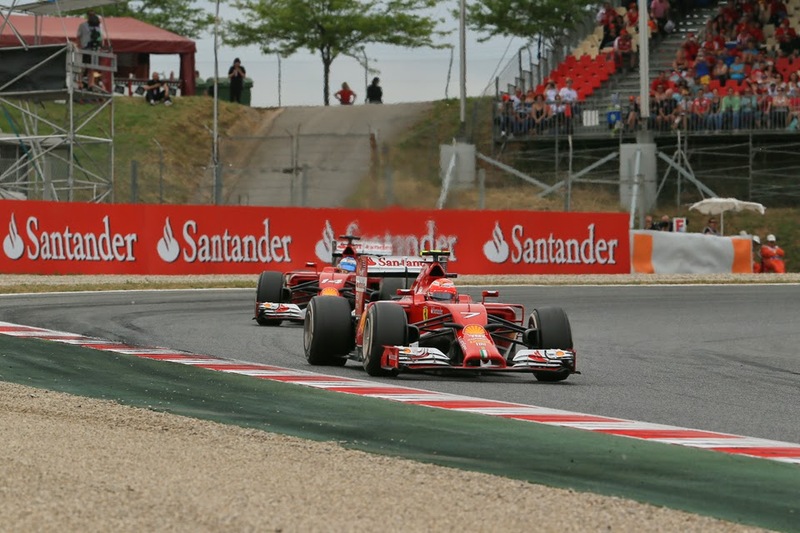 Ferrari too was far from the only team at Montmelo to run different strategies for its two cars. In addition to Sauber and Williams already mentioned Mercedes split its approach too, as did Red Bull, Force India and Marussia. We never got to find out in the cases of Toro Rosso and Caterham due to unreliability. Which leaves only Lotus and McLaren doing the same with both cars. So it was the exception rather than the rule. As for Fernando pitting a lap before Kimi at the end of the first stint I guess the reasoning for that might come out in the wash. Alonso for what it's worth while not able to offer a view on why Kimi pitted later than he did say that he was struggling with tyre wear in his first stint and thus was hankering after an early stop from a few laps in. But if even at this point the possibility of splitting its strategies had occurred to the team then it made sense to pit Alonso, with his extra planned stop, first. And whatever is the case as mentioned pitting a lap sooner made no difference anyway. 'What on earth has this to do with F1? ', I hear you cry (assuming you're still awake). Well, the moral of the story is that if you start with a firm predisposition in mind (in the above case, that of the doctors assuming that their patients had a mental illness) there is a risk that you will interpret everything you encounter - however innocent, benign or contradictory - as evidence to support your predisposition. Something perhaps for those determined to think the worst in this case to consider.